Yesssss…my (3 week!) vacation has started!! Although I will work a little in the coming days finalize some last bits and pieces, I expect no problem to smoothly move into holiday mode. We’ll be leaving Sunday to this year’s exotic destination: the sunny island Bonaire, part of the Netherlands Antilles. 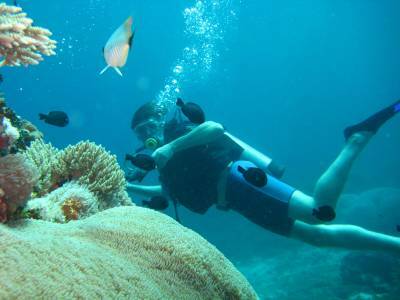 It is world renowned for its excellent scuba diving and is rated among the best diving locations in the world and also recognized as one of the best destinations for snorkeling…what else do you want? YAY! This entry was posted on Wednesday, October 28th, 2009 at 23:29	and is filed under Blog Entries. You can follow any responses to this entry through the RSS 2.0 feed. You can leave a response, or trackback from your own site.